I am a cognitive psychologist with interests in memory and learning in children and adults, and in the causes of specific learning difficulties and how they might be overcome. Current projects at the CBU examine the cognitive mechanisms of short-term and working memory and how these are modified through training. In 2014 I also established a research clinic assessing cognition, behavior, brain and genes in children with problems in attention, learning and memory (CALM) with CBU colleagues Astle, Holmes and Manly. A transdiagnostic approach designed to identify the fundamental mechanisms underpinning common neurodevelopmental disorders of learning. By summer 800 children will have visited the clinic and the full 1K sample will be completed at the end of December 2019 when 200 children with typical development will have been included. 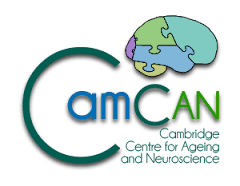 Further information on the CALM project, activities and publications are provided at http://calm.mrc-cbu.cam.ac.uk.